For a SilverStripe project that I was working on, I had to provide a FAQ type feature. Thus I have developed an AdvancedFAQ module for SilverStripe CMS. The advancedfaq module allows you to add faqs on your SilverStripe website. 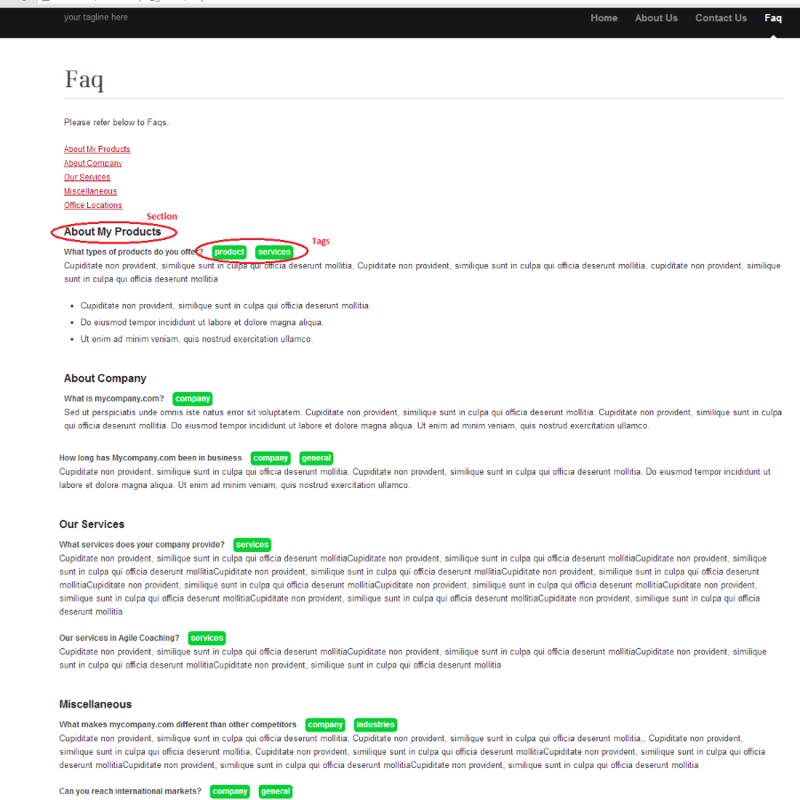 Each faq object can have multiple faq-tags and one faq-section attached to it. All dataobjects, Faq, FaqTag and FaqSection are versioned by default. The module can be downloaded from github. Please refer to the screenshots below.